On your own, with the family or in a group , we can cater for your visit! Guided tours – (reservation necessary) benefit from information the guide can give you to make the collections more meaningful, on an exclusive tour or in a group the visit is adapted to your needs. Presto tour – a 55 minute introduction to the museum. Guided tours are available in French, English, Spanish, Occitan, Chinese and Japanese. Museum booklet : on loan free of charge for non French speakers. Available in English, German, Dutch, Greek, and Spanish. Audio guide : (charge 3€) a commentary of the major works in the collections. Available at the front desk in French, English, German, and Spanish. Touch pads : with text in brail, embossed maps and casts illustrate the collections in each room for the visually impaired visitor. Museum letter : a publication, free of charge, giving information about the latest developments in the collections. Fête de le Musique, Nuit des Musées, Journées Européennes du Patrimoine, exhibitions, evening gatherings, reading sessions and training courses are some of the ways of getting the feel of the museum. 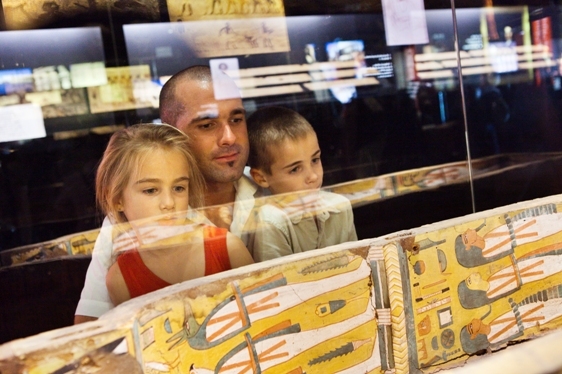 The Educational department has specific activities for the young visitor.